EAST RUTHERFORD, N.J. -- An unmistakable sound of disdain permeates Philips Arena when his name is mentioned or he hoists a jump shot, transforming into glee when an attempt clanks off the rim. 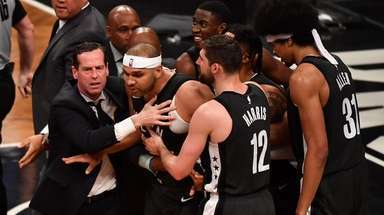 Joe Johnson is Public Enemy No. 1 in a sense to Hawks fans, subjected to nonstop ire from a venue in which he toiled for seven seasons. They enjoy spewing venom in his direction at every chance and shouting things about his six-year, $123-million contract, knocking his abilities and burying him for not getting Atlanta to the next level. 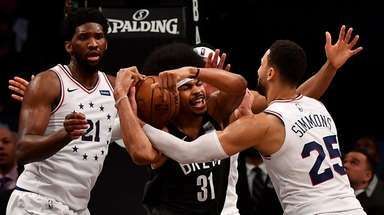 That very ire surely will surface again Sunday when the eighth-seeded Nets begin their Eastern Conference first-round series against top-seeded Atlanta. 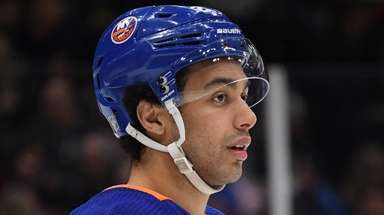 The fans have made him a scapegoat, which is perplexing, given that Johnson went to the playoffs with the Hawks five times and insisted he never asked to be traded, a point he drove home the moment he arrived in Brooklyn in 2012. But Jarrett Jack is pretty sure he knows the reason Johnson is disliked by Hawks fans. "He didn't mean that he doesn't appreciate them or wasn't saying thank you to the fans that have been riding with the team since they were a struggling team to now a playoff team." The Hawks still thought enough of Johnson to re-sign him to that max contract two months after he got booed during a 30-point postseason loss to Orlando at home, after which he said the jeers didn't annoy him and "it's about us in this locker room. We [couldn't] care less if [fans] showed up." The unflappable Johnson remains unfazed by the fans' taunts. "It's part of life. 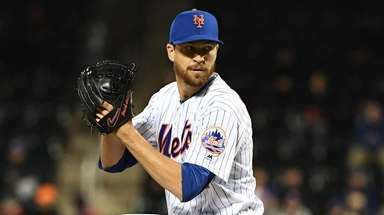 Life isn't fair sometimes," Johnson told Newsday. "But I swear to you, I hold no grudge on it and it doesn't bother me. It's part of it, you know? I feel like if they don't boo you, then hell, they didn't miss you. So that's it. I'm not saying they would love for me to come back. Obviously, they don't need me there because of how they have been this year, been so great. But I came through, man. We had a great run while I was there and that was it." In his third season with the Nets, Johnson's role has shifted in a variety of ways. 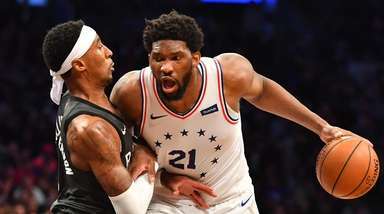 He played mostly at power forward until the Feb. 19 trade with the Timberwolves imported Thaddeus Young, allowing Johnson to shift back to small forward. He hasn't always been called upon to take the game-winning shot, as he did in his initial two seasons with the Nets. He's battled through knee and ankle tendinitis and still logged a team-high 2,791 minutes. No other Net has more than 2,241. "Joe's year is categorized in one word: warrior," coach Lionel Hollins said. "Just quiet, does his job, very professional. He never complains. I have to take him out of the game and give him some extra rest. I have to make him not practice sometimes. He just comes and does his job. It's just been a pleasure coaching him." An argument can be made that Hawks fans should be thanking Johnson. Besides getting a 2013 first-round pick, a condition of the trade that sent him to the Nets allowed Atlanta to swap first-round picks with the Nets this season, meaning the Hawks will select 15th rather than 29th. The trade exception they received helped them land Kyle Korver. If that's not enough, the Hawks also have the Nets' 2017 second-round pick. That certainly sounds like something worth cheering about, but there's a slim chance Johnson will hear any of that on the road in this series. "Everybody knows the type of guy Joe is," Jack said. "Joe is a good dude. He's not a negative guy at all, very appreciative of the opportunities and things that he's had in this league. He goes out there and puts it all on the line, so that's the part that is a little disheartening and disconcerting is to me, a guy who for so many years you cheered on, but one quote taken the wrong way, that negates all that? I don't understand that."